To help manage the cost of moving, the first - and most important - thing to do when planning your move is to make a moving budget. Whether you hire movers or take on the job yourself, here are some common moving expenses to plan for. There’s no way around it - moving is expensive! Not having a moving budget can cost you more in the long run when you inevitably encounter unexpected expenses you didn’t account for, but if you plan for these expenses before you move, you’ll be prepared for any unfortunate surprises and will be better able to keep the costs of your move as low as possible. Many people assume that renting a truck, wrangling some friends, and moving yourself will be cheaper than hiring professional movers, but this isn’t always the case. The cost of your move depends on how much stuff you have and how far you’re moving, so before you bug your buddies and book a truck, call some moving companies for quotes, then sit down and hammer out a moving budget. 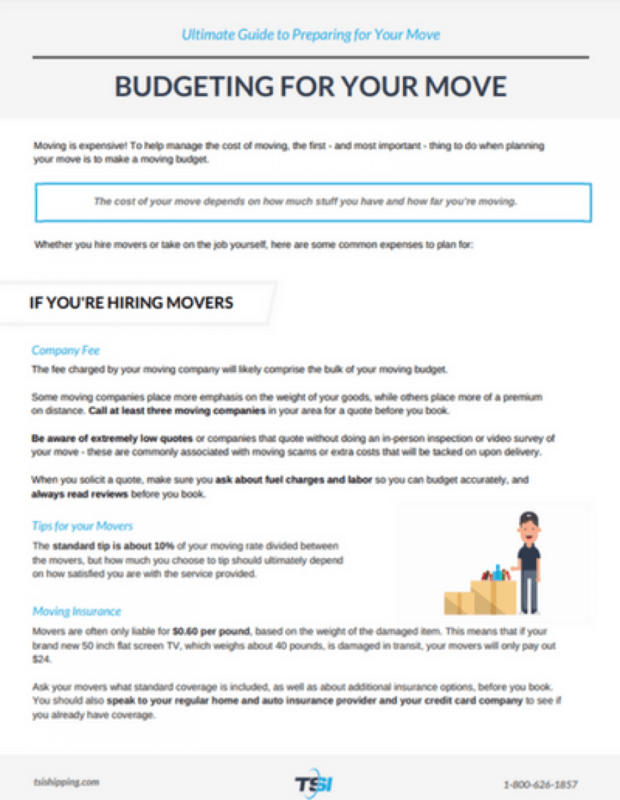 You might find that hiring movers is actually cheaper! Not to mention, it saves you time and aggravation - and possibly your back. The fee charged by your moving company will likely comprise the bulk of your moving budget. The amount they charge may seem like a lot at first, but consider how much time and effort you’ll save by hiring movers to take care of all the heavy lifting and the trouble of driving your stuff to your new home. Depending on how much stuff you have to move, hiring movers can be well worth the price. Every company prices moves differently: some place more emphasis on the weight of your goods, while others place more of a premium on distance, so you should call at least three moving companies in your area for a quote before you book. 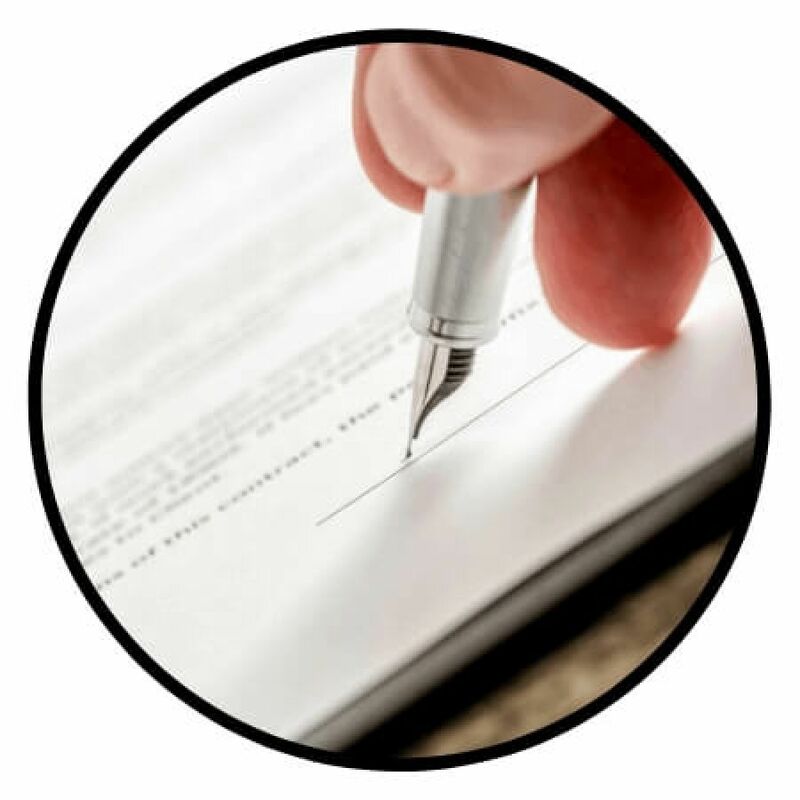 Be aware of extremely low quotes or companies that quote without doing an in-person inspection of your move - these are commonly associated with moving scams or extra costs that will be tacked on upon delivery. When you solicit a quote, make sure you ask about fuel charges and labor so you can budget accurately, and always read reviews before you book. PRO TIP: Be honest about how much stuff you have to move. This will help your potential movers create an accurate quote, which will help you avoid unexpected fees when moving day arrives. If you don't have much to move but want help with your larger, heavier items, an LTL shipping company can help you move these items safely without breaking the bank. Tell me more about LTL shipping. Help me reduce the cost of my move. Don’t assume that your movers will automatically provide insurance in case your stuff gets damaged. Often, movers are only liable for $0.60 per pound, based on the weight of the damaged item. This means that if your brand new 50 inch flat screen TV, which weighs about 40 pounds, is damaged in transit, your movers will only pay out $24. Ask your movers what standard coverage is including in your moving rate, as well as additional insurance options, before you book. You should also speak to your regular home and auto insurance provider and your credit card company to see if you already have coverage. If not, you may wish to consider investing in additional moving insurance. Help! Do I need moving insurance? Make sure you ask if there will be any additional fees when you get a quote so you can factor these costs into your moving budget. The most reputable moving companies will ask you questions up front so there are no surprises. It doesn’t matter how well you’ve packed your boxes are or how careful your movers are, there’s always a chance that something will get broken during a move. To account for these costs, add a 5-10% buffer to your moving budget. If you don’t end up using it, that’s just extra money in your pocket! If you’re happy with their service, show your appreciation by tipping your movers. The standard tip is about 10% of your moving rate divided between the movers, but how much you choose to tip should ultimately depend on how satisfied you are with the service provided. Download my printable budgeting guide. Tell me more about TSI's moving services. How big of a truck you need. Whether you’ll be leaving the truck in the same city you picked it up in. What additional supplies you’ll require, such as dollies and moving blankets. PRO TIP: When it comes to renting a truck, it’s important to find the right truck size to fit your stuff. If you book a truck that’s too small, you’ll have to make multiple trips or leave stuff behind; book a truck that’s too big, and you’ll pay for space (and gas) that you don’t need. If you aren’t sure, it’s best to err on the side of caution and book a larger truck. Call a few truck rental companies in your area before you book. Be prepared with specific questions related to your move (such as whether you can drop the truck off in a different city than you picked it up, or whether multiple people can drive the truck), and don’t forget to ask about insurance and the cost of extra equipment like dollies and moving blankets. Renting a truck? Call us for details on how you can save when you book with Penske. When you’re researching truck rental fees, ask about the truck’s fuel mileage per gallon. This will help you get a rough idea of how much you’ll spend to re-fuel your truck throughout the day. PRO TIP: Try to avoid moving during rush hour. Moving trucks rarely have great fuel economy, and getting stuck in traffic will only increase your cost of moving - not to mention add to your stress. If you’re moving into or out of an urban area, there may also be parking restrictions in place or rules for when large trucks can use busy roads. You may want to purchase additional insurance to protect yourself, your stuff, and the rental truck. Before you buy extra insurance, ask your truck rental company if they provide any coverage and contact your regular home and auto insurance providers, as well as your credit card company, to see what coverage you already have. If you’re moving to a new state or a long distance, you may encounter road tolls en route to your new home. Do your research before you move to figure out what tolls you may be required to pay, then factor these costs into your moving budget. Help me buy moving insurance. Supplies like dollies, loading ramps, furniture pads, and moving blankets may not be included in a basic truck rental. Always ask the rental provider before you book. Just like when you hire movers, you should also plan for a 5-10% buffer in case of things like higher-than-expected gas prices, unexpected repairs, or damaged goods. If you have a long drive to your new home or if you’ve wrangled a few friends to help you move, budget a little cash to buy food and drinks along the way and to thank your crew for their hard work. If you’re moving long distance and have to move large or bulky furniture like sofas, mattresses, or antique cabinets, you may want to look into furniture shipping. Professional shipping companies are often better equipped to get your furniture and valuables to your new home safely and efficiently, especially if you’re shipping valuable or antique furniture. Learn more about shipping your furniture and valuables. If you’re moving alone and renting a truck, you may also have to figure out a way to get your car to your new home - shipping is a good option here as well. If you’re renting and your leases don’t line up, the sale of your old home closes before you can move into your new house, or if you’re moving long distance, you’ll likely need somewhere to stay overnight (unless you want to sleep in your car or moving truck - just make sure you park somewhere safe where it’s legal to sleep in your vehicle). Staying with family or a friend can eliminate lodging costs and lower your moving price, but if you don’t want to crash with your parents or on a friend’s couch for two weeks, you may have to fork out for a hotel or temporary housing. Whether it’s meals for the road or pizza and drinks for your friends, meals are an oft-forgotten but essential item to include in your moving budget. Base your food budget on the length of your move and/or the amount of people you can wrangle to give you a hand. If you have access to a kitchen, preparing your own breakfast and lunch can help reduce meal costs while you’re on the road to your new home. Having someone watch your children and your pets on moving day can help reduce stress, and keep your kids and pets safe during the process. If you can, leave your kids and pets with family or friends; if not, you may wish to consider hiring a sitter or boarding your pets till you’re settled in. Read our expert advice for getting your kids involved. Get our tips for moving with pets. You can’t move without boxes or containers to pack your stuff into! 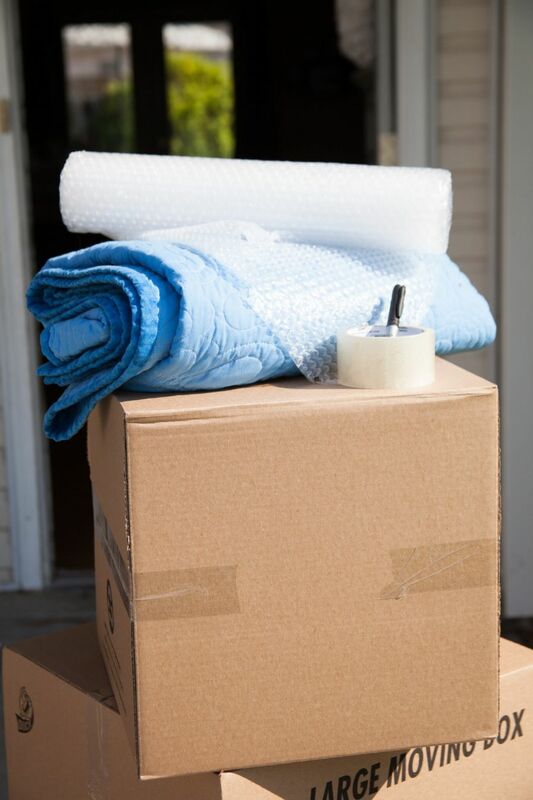 If you buy your boxes through your moving company, the costs can add up quick. Instead, use your travel suitcases and check online for people selling old boxes for cheap - you may even find some people who are giving them away. Grocery and liquor stores can also be a good source for heavy-duty boxes. Moving kits are another easy and cost efficient option. These kits contain boxes contain the right number and selection of boxes for your move as well as essential supplies like tape, tape dispensers, bubble wrap, and wrapping paper. Find the right moving kit for your move. Socks and other soft items like linen and towels can help cushion your belongings, but chances are you’ll still need some bubble wrap and other supplies to make sure all your boxes are safely and tightly packed. Photo Credit: Guy Kilroy via Flickr. PRO TIP: Coffee filters are a low-cost alternative for packing your dishes. Help me keep my move green. A tape gun is an essential moving tool. If you don’t have one and can’t borrow one from a friend, pick one up (plus some extra rolls of strong packing tape) from your local hardware store. You’ll also need labels and markers to label your boxes. PRO TIP: Buy markers in multiple colors so you can color code your boxes. All movers require mattresses to be bagged and boxed before you move. Need a mattress box? Order one from our supply shop. If you’re downsizing or if there’s a delay between when you move out of your old place and into your new one, you might need to spring for storage. Before you commit to one storage company, call around and get a few quotes to make sure you get the best deal. Always include a contingency fund in your moving budget to cover unexpected costs you might incur if something goes wrong, such as your car breaking down, larger-than-expected deposits, or personal injury. A good rule of thumb is to add an additional 5-10% of your expected budget to your costs, just in case you’ve budgeted too low or in case something happens. Reducing the size and weight of your move can significantly reduce your moving rates, whether you hire movers or rent a truck. 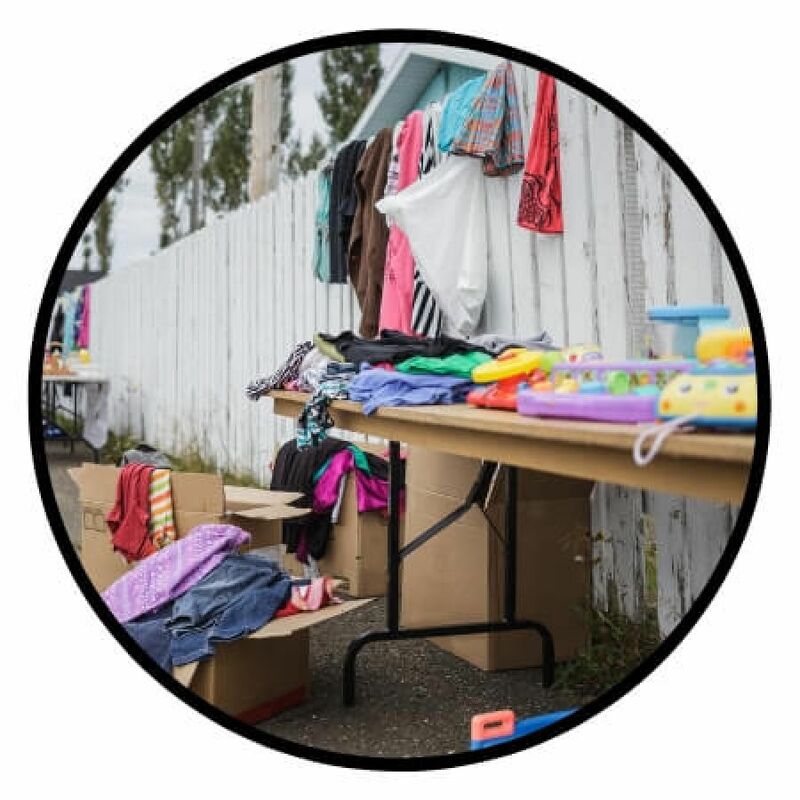 Hosting a garage sale, or selling, donating, or simply tossing items you don’t need any more are great ways to purge, and there may even be tax deductions available on donations. If you’re having your old stuff hauled away by a junk removal company, be aware that professional junk removal services also cost money, so you may not actually save any money. Help me declutter and downsize. If you want to hire movers, get estimates from at least three moving companies before you book. Moving rates are primarily based on the weight of your stuff and the distance of your move, but some movers will price more based on weight while others will charge more based on distance. If you’re not moving a lot of stuff but are moving a long distance, try to find a mover that charges more based on weight; if you’re moving a lot of stuff but a short distance, look for a mover that charges based on distance. PRO TIP: Create your moving budget based on the highest quoted moving price. That way, if your movers end up costing less, you have a bit of extra wiggle room. Local movers often charge based on time. If this is the case, read online reviews to see whether local moving companies in your area have a history of either moving quickly or taking their time on their jobs before you book. Some movers charge less in the off-season between September and May. Moving in the middle of the month - or any day except the first or last day of the month - may also be cheaper. Booking in advance can also help reduce the cost of moving - or at least help you avoid extra charges for booking last minute. Your movers may charge extra if they have to help you pack last minute items or disassemble furniture. If you’re relocating for work, ask your employer if they offer a moving allowance to help offset the costs. Some of your moving expenses may also be tax deductible - do your research and ask your employer to find out whether any of your costs are deductible and what you’ll need in order to claim the benefit. Take an inventory of the food in your fridge and freezer and plan your meals accordingly so that you can use up your food without tossing anything or leaving anything behind. 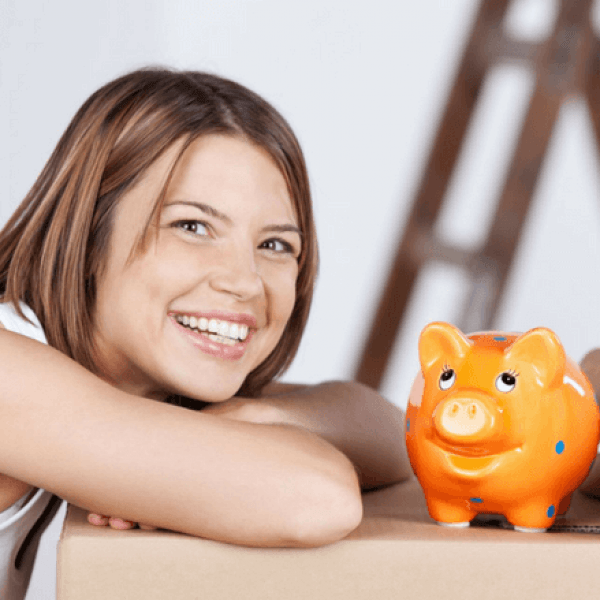 Whether you’re preparing to move or are simply contemplating the prospect of relocating, the first thing you should do is to create a moving budget. When you’re creating your moving budget, make sure you keep the above costs in mind. Download the complete printable Ultimate Guide to Preparing for Your Move.